Holiday cookie baking has officially begun in our home. Yes, I’m one of those people that start early. When you make a lot of cookies, you kind of have to start early or you’ll never finish. I even had Christmas music rockin’ in the background while I was baking these beauts. I’ve kicked off my holiday baking extravaganza with these confetti cookies. These are like good old sugar cookies for people that don’t really do cut-out sugar cookies. I’m too much of a perfectionist and I easily get frustrated with the whole process of rolling and cutting. So I was excited to find these easy drop sugar cookies from Joy the Baker. Aren’t these balls of raw cookie dough pretty already? I love how each cookie is unique. The sprinkles decided to go wherever they wanted when the cookies flattened out while they baked. I’m easily amused by sprinkles. Is anyone else? These cookies are a little crispy on the outside and have a nice chewy inside. I’d call that the best of both worlds. Joy’s recipe also includes the seeds from one vanilla bean in her recipe. I decided to leave it out because vanilla beans are pricey and I thought the subtle flavor of the little flecks of vanilla bean would get totally lost next to all those sprinkles. I decided to rely on the wonderful flavor from vanilla extract instead. I think that if you use the good stuff (not the imitation kind), then you still get an awesome tasting cookie. Since the cookie baking fiesta is upon us, I thought I’d take the opportunity to review some of my most important cookie Baking 101 tips. Use room temperature ingredients (unless the recipe specifically says to do something different). If the ingredients are too cold then they won’t properly mix together. Use the “spoon and level” method when measuring flour. I take a spoon to loosely pile the flour into the measuring cup and then level it off with a butter knife. If you are following one of my recipes (and likely others) and dunk the cup right into the flour container then you will end up with too much flour and your cookies will end up dry and not spread. Make sure all your ingredients are fresh and have not passed their expiration dates. Some of the biggest offenders in this category are old butter (which usually tastes like your fridge), old eggs (which just taste kind of gross), and old baking powder or baking soda (which is like adding nothing to your cookies instead of magical fluffiness). Note: Cookie dough requires a minimum of 2 hours chilling time. Pour the sprinkles into a small bowl and set it aside. In medium bowl, whisk together the flour, baking powder, cream of tartar, baking soda, and salt. Set the dry ingredients aside. Scoop about 2 tablespoons of cookie dough and roll it into a ball. 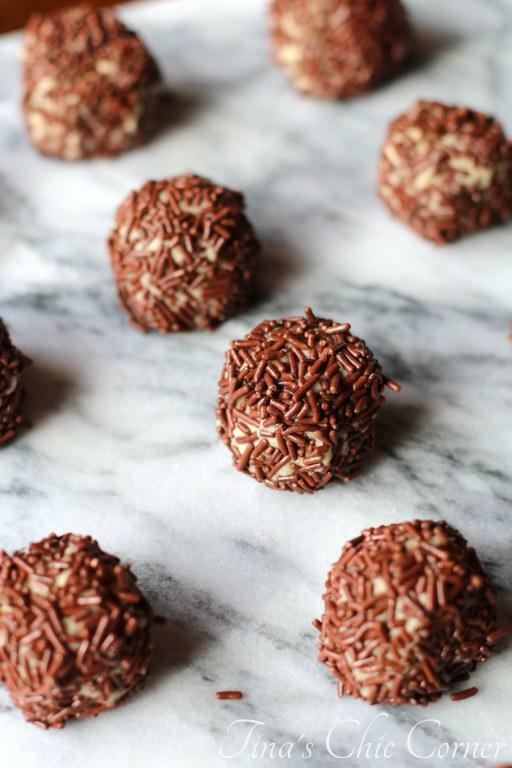 Roll each ball around in the bowl of sprinkles. Place them in the refrigerator for a minimum of 2 hours. Bake them in the preheated oven for about 14 minutes or until the edges have browned ever so slightly. Let them cool on the pan for a few minutes and then move them to a cooling rack to cool completely. Note that they will be a bit soft to touch but they will firm up as they chill out. Here are some other heavenly holiday cookie recipes. 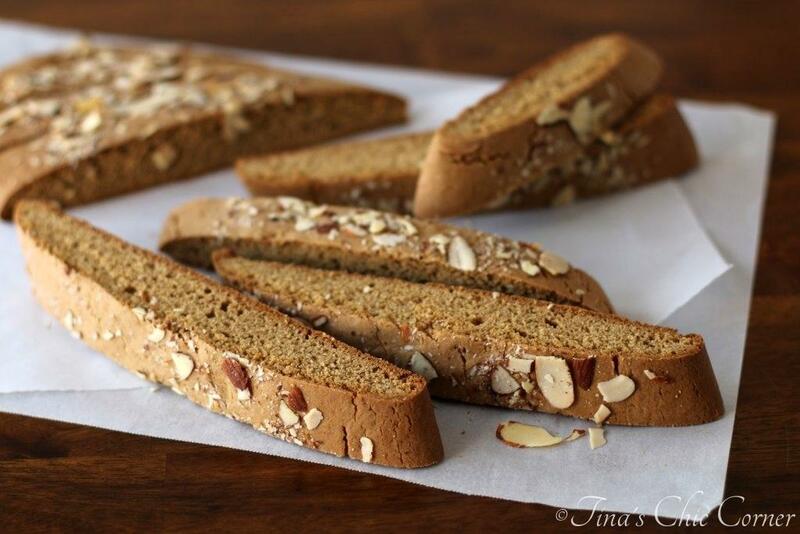 I love that you’ve already started holiday baking! I’ve started to think about it and pulled down a few cookbooks, but haven’t taken the plunge yet. These cookies are inspiring me, though. I love how they’re less fuss than standard sugar cookies, and any cookie covered in sprinkles is bound to be delicious! I can’t wait to see what cookies you end up making! I’m ssssoooo ready for holiday baking Tina! So, bring on the recipes, because girl…I need ideas! Looks great! Pinned! Wahoo! I’ll be sharing lots of cookie recipes over the next couple of months. 🙂 Thanks so much for pinning! Yay for holiday baking, especially cookies! 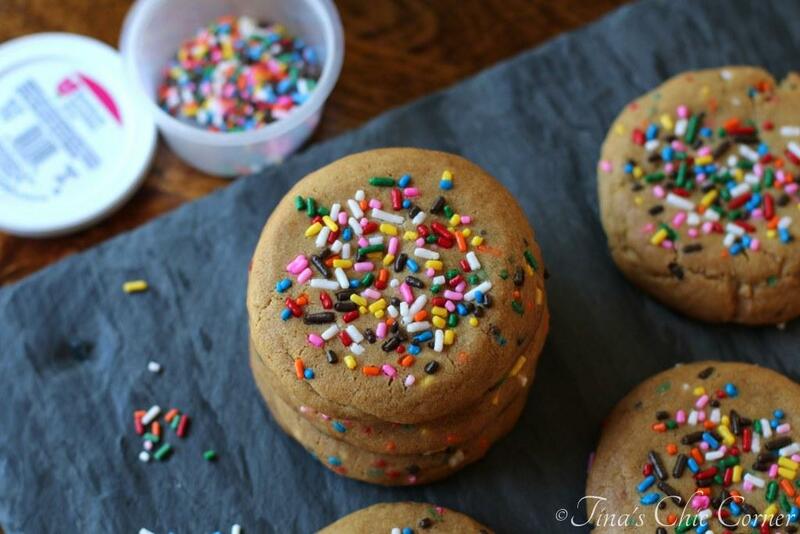 Love all of the sprinkles on these cookies, these look so perfect and delicious. 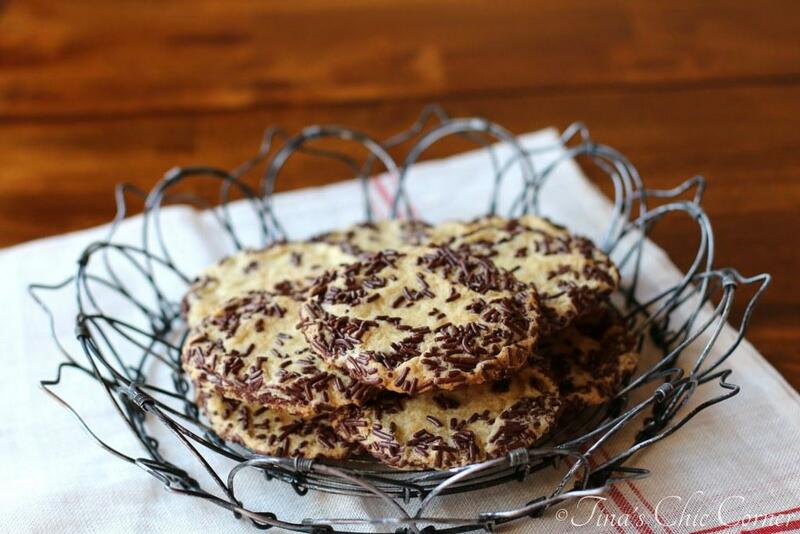 Love these cookies – they are so cool looking with how they are all slightly different! The more sprinkles the better! 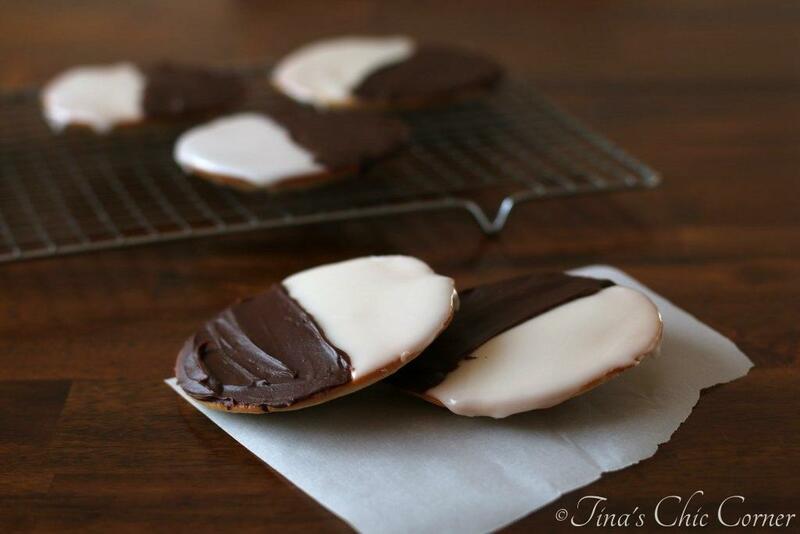 And what a fun idea to have a black and white themed holiday party. These cookies would be perfect for such an occasion!